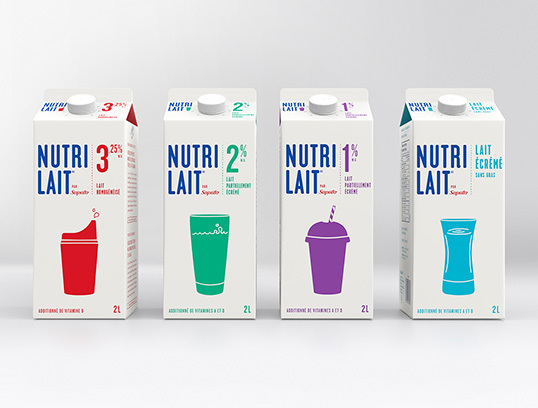 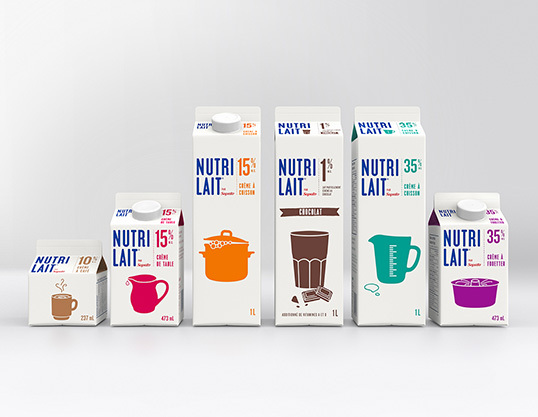 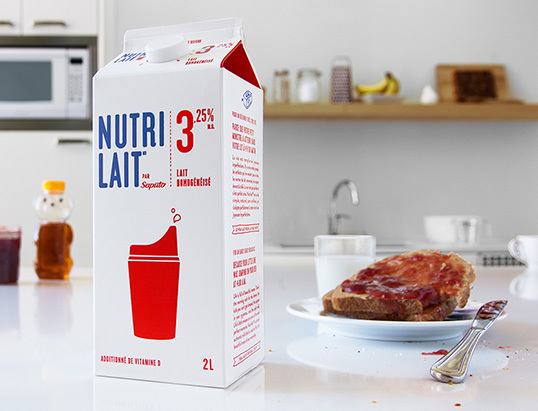 “For its new brand identity, Nutrilait’s simplicity is featured. 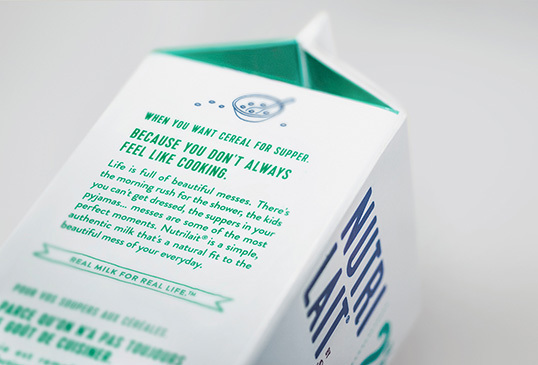 Far from the image of an immaculate and perfect lifestyle used in so many ads and magazines, the platform was built around the tag line “Real milk for real life.” Life is full of beautiful messes – chaotic mornings, kids who don’t want to wake up, spilt milk, and dinners in front of the TV. 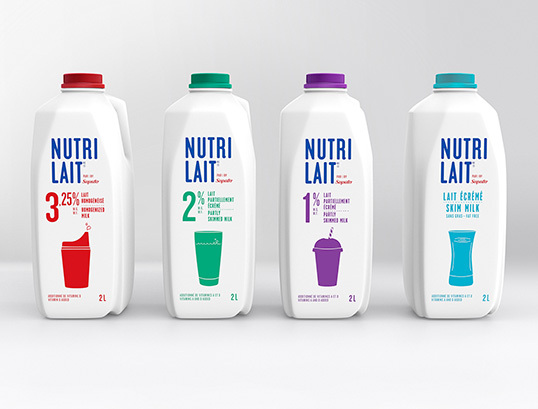 Life isn’t perfect – and Nutrilait wants to celebrate these beautiful imperfections.